Are your financial records in the best shape? 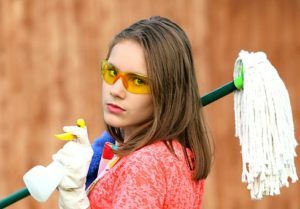 If you spring clean your home, why not your finances? BMO Harris Bank has over 600 branches and approximately 1,300 ATMs in Illinois, Wisconsin, Indiana, Kansas, Missouri, Minnesota, Nevada, Arizona and Florida. When was the last time you took a long and hard look at your budget? Are you saving enough for your children’s education, your retirement? Are you spending too many discretionary dollars eating out each month when you could be saving that money for a summer vacation? Pay careful attention to “wants vs. needs.” Spring is a perfect time to sit down with a financial professional and review your savings and investment goals. Items including home and car titles, social security cards and wills should be kept in a bank safety deposit box or fireproof locked box or vault at your home for safe keeping. Be sure to keep a list of those documents at home, and note where the safety deposit box resides, in case of an emergency. Scan key documents and store them on your computer, or on a portable storage device which could be kept in your safety deposit box. Receive your bank statements and bills electronically. While it is important to maintain records for a period of time, it is equally important to properly destroy those documents you no longer need. Bank statements and pay stubs should be destroyed after a year, but you should keep tax records for seven. Don’t know what to keep and what to ditch? See tips from the Internal Revenue Service. Be sure to securely shred documents that you decide to discard. Finally, when you find all that change from cleaning under your couch cushions – don’t spend it, put it in the bank. Cutting Costs: 9 Best Practices to Avoid Making Reactionary Decisions — It’s important not to be emotional when facing difficult decisions. To avoid making fearful — reactionary decisions — here are nine best practices.